Server rooms and data centers are full of expensive computers and networking equipment that are designed to operate within a given temperature range. 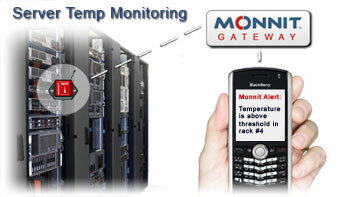 Monnit wireless sensors provide a low-cost, highly reliable way to monitor these temperature critical environments. Stay online, with Monnit wireless sensors. Enable or Disable Email or SMS Text Alerts from the iMonnit System. 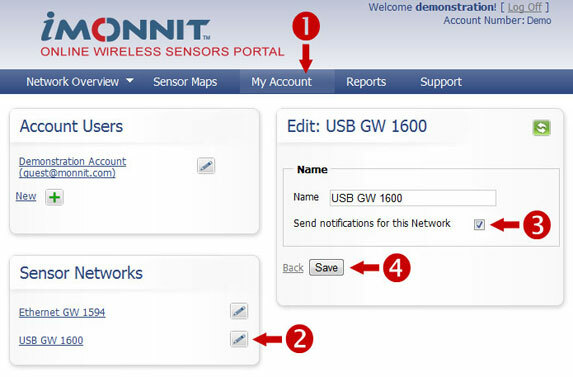 Did you know that you can enable or disable email and text alerts for wireless sensors on your network. iMonnit has a global feature that allows you to stop email and text message notifications from being sent from the iMonnit system. To turn this feature on and off, open your favorite browser and login to your iMonnit account at www.imonnit.com. If notifications are being sent, deselect the check box. If notifications are NOT being sent, select the check box.